In the (probably) last post of this series, I'll take the pieces that I've gradually outlined in previous posts, and put them together into a big-picture, common-sense framework for thinking about human eating behavior, and why we eat more today than ever before. Why is Eating Behavior Regulated? Let's start at the most fundamental level. To be competitive in a natural environment, organisms must find rational ways of interacting with their surroundings to promote survival and reproduction. One of the most important elements of survival is the acquisition of energy and chemical building blocks, either by photosynthesis, or (in the case of animals) eating other organisms. This imperative drove the evolution of rational food seeking behaviors long before the emergence of humans, mammals, reptiles, amphibians, fish, worms, and even eukaryotes (organisms with nuclei). For example, bacteria that are able to move typically display a behavior called 'chemotaxis': movement toward or away from particular chemicals. These bacteria move away from noxious stimuli such as concentrated salt solutions, and toward chemicals that signal food. Chemotaxis toward a food source is a simple example of a rational food-seeking behavior that presumably existed long before the evolution of eukaryotes. Since the natural world is complex, there are ways to improve on the simple food-seeking behaviors of bacteria in order to optimize survival*. The brain is an organ that is dedicated in large part to doing just this. As I've explained in previous posts, it is a centralized behavior control organ that senses the internal and external environment, and attempts to optimize when and what an organism eats in the context of those particular conditions. As one might expect, the brain is 'tuned' to optimize fitness within a particular ecological context-- a point we'll return to later in the post. Now, let's consider the rational process that the brain uses to make its decisions. Hunger is a complex phenomenon that is determined by a variety of (mostly homeostatic/internal) factors. One of those factors, as previously described, is the energy homeostasis system. The upshot is that if a person's brain is 'defending' a high body fat setpoint, hunger will be higher than a person who is leaner. But we know that hunger is only one of the reasons why we eat. Looking at the list above, it should start to become obvious why in the modern world we often eat more than we need to satisfy hunger, and more than we need to meet our body's energy requirement. But this poses a problem. If our brains evolved to make rational decisions about food, then why do they lead us to eat too much, eat the wrong foods, and ultimately make us sick? Why are we drawn to pizza, ice cream, potato chips, fried chicken, and pastries, when we know they're fattening and unhealthy? These don't appear to be rational motivations that encourage survival and reproduction in the 21st century, but in fact, they make great sense-- in the context of our ancestors' world. In our ancestors' world, food tended to be harder to obtain and prepare than it is in our world. Starvation was a much larger threat than it is to most people in affluent societies today, while eating too much was a rare luxury. Therefore, our brains are tuned by evolution to seek calorie-dense, easily digested food that requires minimal effort and risk to obtain and consume. This is the foundation of food reward. The fattier, starchier, sweeter, milder, and more calorie-dense the food, the more 'valuable' the reward system considers it**-- and motivation to eat is scaled accordingly. Why accept the effort and risk of chasing a deer or growing rice when you can simply push a pedal in your car, drive up to a fast food joint and order a hamburger, fries and milkshake? This is what our reward system compels us to do, and since our modern environment makes it so easy for us to indulge these deep-seated desires, we have to consciously guide ourselves onto a healthier path. Since our ancestors' food required work to acquire and prepare, effort cost was higher. This means there had to be a higher level of motivation to drive food seeking behavior. In addition, the food was typically more satiating per calorie, because it was richer in protein, water and fiber. Yet there were fewer motivating factors to be found: our ancestors generally ate simple food by today's standards, and they didn't have as much access to habit-forming drugs (alcohol, coffee) as we do today. So the factors opposing food intake were stronger, and the factors promoting it were weaker. Hunger (homeostatic eating) was presumably a more prominent motivator than today, relative to other (non-homeostatic) motivators, since non-homeostatic motivators tended to be weaker. This suggests that food intake would have corresponded more closely to the body's true energy needs as signaled by hunger-- and there was less of a drive to eat beyond hunger. In the following image, I've summarized how these factors may have interacted in the ancestral environment, and how they interact today. As you can see, in the ancestral world, there was somewhat of a balance between the factors that promote eating, and those that oppose it. In contrast, in the modern world, the factors that promote eating are stronger, while those that oppose it are weak. The only major opposing factor we have today is cognitive restraint, or willpower, which frankly isn't a great resource for most people. The fallibility of willpower is evident in the fact that many people continue to eat foods that are unhealthy and fattening, despite the fact that they know they're unhealthy and fattening. For a fictional account that illustrates how some of these factors may operate in everyday life, see below***. Of course, we can change our diet and food environment to attempt to re-balance these factors in a more ancestral way, and many of us do so, whether it's based on ancestral logic or just common sense. We can accomplish this by using simple strategies like clearing the food environment of tempting foods, only leaving snacks out that are low in calorie density and require a bit of effort to eat (e.g., oranges), avoiding the most highly palatable foods, and eating food with a higher satiety value per calorie. There is a lot more to discuss here, but I'll leave it there for now. I hope this series has shed some light on what regulates food intake in humans, the brain processes that are involved, and why we eat more today than our ancestors did. To consolidate the information, I've re-organized previous posts in the series so that they appear in a continuous order on the blog. I highly recommend reading these posts in order all at once, since I published them over the course of several months. They'll make much more sense that way. * Not that the strategy bacteria use is a bad one. It seems to be working out pretty well for them. But they have a very different survival strategy than large multicellular organisms. ** Actually, this is a little bit of an oversimplification. There's a 'sweet spot' for most of these factors. *** Let's consider a day in the life of a fictional person. Jim and his wife Samantha get out of bed in the morning. Jim takes a shower, walks into the kitchen feeling a bit hungry, and his eyes alight on an open bag of potato chips and an orange on the counter. The chips in particular are easy to access, taste good, have a high calorie density, and a seductive flavor and texture. Jim is tempted, but habit and cognitive restraint (he knows Samantha will think he's a slob if she catches him eating chips at 7:30 am) send him to the fridge instead. He puts four slices of whole wheat bread in the toaster (two for himself, two for his wife) while Samantha cooks eggs. Jim doesn't like the taste of whole wheat bread as much as white bread, but he eats it because of his conscious health goals. He makes up for the less appealing flavor by putting more jam on his toast. The jam is particularly good-- his mother made it-- so he toasts and eats a third piece of bread with jam. He also eats his egg, not because he's hungry anymore, but out of habit and because he doesn't like to waste. Jim goes to work. First things first-- Jim pours himself a cup of coffee and adds a splash of cream. He does this because (despite its bitter flavor) coffee contains caffeine, a habit-forming drug, and cream tastes good and adds calories. Jim goes to a meeting. One of his co-workers brought donuts, but Jim has told himself he won't eat them. In any case, he's not hungry at all. Unfortunately, he's sitting within arm's reach of the donuts, and the meeting is boring. His eyes keep returning to the box of donuts. Finally, he caves in and eats one. The seductiveness, calorie density, and entertainment value of donuts overcame his conscious goal to avoid eating one. At noon, Jim takes time for lunch as he does every day. He sits down with his co-workers and eats a sandwich-- turkey cold cuts, lettuce, tomato, and mayonnaise on whole wheat bread-- and an apple. The apple has a rotten spot, so he avoids it, an example of avoiding an aversive flavor/texture. He was a little bit hungry, but he mostly ate out of habit. As Jim walks down the hallway to leave work, he passes the secretary's desk, and she usually has a bowl of candy for passers-by. Jim takes a Hershey's kiss, because it's easily accessible, it's calorie-dense, and it tastes good. He thinks nothing of it-- it's just a Hershey's kiss. As he's walking to his car, he smells something amazing-- it's a pastry shop near his work. He suddenly feels hungry. He manages to get into his car and drive away without buying a pastry-- this time. This is an example of cognitive goals overriding a strong desire to eat that is driven by a cue (aroma) associated with a highly rewarding/palatable food. When he arrives home, he's still feeling hungry, so his eyes again alight on the open bag of potato chips and the orange. He goes for the bag of chips, because they're easily accessed, they taste great, and they have a high calorie density. However, they will contribute very little satiety to his upcoming meal, potentially increasing total calorie intake. He pours himself a glass of wine, because it tastes good and contains a habit-forming drug. He cooks a meal with Samantha: stir-fried chicken and vegetables with rice. Jim forgets how salty soy sauce tastes, so he adds extra salt and ends up over-salting the dish. Jim and Samantha both eat less because the food tastes mediocre. For dessert, they each have an orange. I used the example of a relatively health-conscious person to illustrate that nearly all of us live in an environmental context where it's a challenge not to overeat. The situation would be much more challenging for a person who surrounds himself with unhealthy tempting foods and cares less about his health. In most people, the modern food environment contributes to fat gain over time by default. You have written previously that food reward and palatability are not necessarily the same thing. Some foods can be rewarding but not necessarily hyperpalatable. For example, You've written before that sugar itself is not inherently fattening unless its palatable. But in someone susceptible, wouldn't the caloric density/body's sensing of sugar make it possibly rewarding even if sugar is not made into a delicious food? I get the feeling that plain white rice, plain breads etc can still be rewarding to me despite their bland taste. My background: very susceptible to obesity from a young age. I understand that Food Reward is only part of the picture, and it is still pretty complex. But I guess we can look at the problem from just an overeating perspective. It could be that damage happens just because of overeating, and nothing to do with any real toxins. So a young person eats more but still is ok, because his system is not yet damaged, and handles the excess calories well. But when he becomes older the damage makes him start to gain weight. You should probably add a link, which provides only these articles. Or maybe create a tag, which is applied to only these articles. Currently I can get them through food reward tag, but I am sure there will be more articles coming with this tag. This series is very good and many people would probably want to link it. It would be even better to provide a single article with links to all of them. 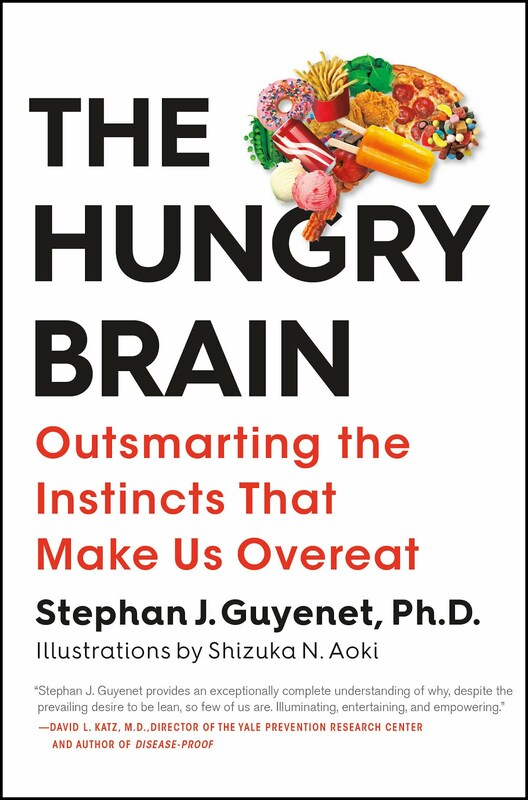 "if a person's brain is 'defending' a high body fat setpoint, hunger will be higher than a person who is leaner." Presumably you mean "if a person's brain is 'defending' a high body fat setpoint, hunger will be higher than a person who is NATURALLY leaner." "If person's brain is defending a higher body fat set point than another person, then they will be hungrier than that person if both are at the same weight, all other things being equal." Or I suppose you might have wanted to say that a person with an absolutely high set point will be hungrier than a lean-low-set-point person tout court, but of course that won't be true if body fat is high/low relative to those individuals' two set points respectively. Interesting point about drugs. Sydney Mintz in "Sweetness and Power" writes about how sugar intake (and its frequency) increased in Western working-class society through its use as a sweetener for bitter drugs; cocoa, tea, coffee, sherry and port. Even tobacco was cured with sugar. "Starvation was [in our ancestors' world] a much larger threat than it is to most people in affluent societies today, while eating too much was a rare luxury." I used to believe this based on how well it supported my own experiences i.e. I deemed it just part of the human experience to be perpetually hungry and to always in principle want to eat essentially any food that was available, just because we were programmed to avoid starvation. Having altered my diet, however, I can lose the desire to eat quite easily, or simply not have the desire to eat. You would have to pay me to take on the slightly unpleasant over-full sensation of eating some egg yolks or drinking some cream at the moment- when I've not eaten for over 12 hours. So now it seems like 'eating too much' must have been quite a significant thing to deter in the evolutionary setting, if this drive is anything to go by. As a nutrition researcher, blogger and working with eating behavior I was interested from the start in this series. As a “neurobiological perspective” I’m sure you made good job and I enjoyed the whole series a lot. But I very much missed the behavioral aspects of eating - many articles on physiological factors and just one on psychology/behaviour. And the one approached behavior in a vague and narrow (lacking important factors) way and in an important part ie. cognitive restraint it actually gave a wrong impression – there is better (flexible) and worse (rigid) kind of restraint and translating the good restraint as willpower is almost the opposite of good restraint. Good restraint is a more of a flexibility skill to be learned than a willpower issue or avoidance strategy. And that as a background for my question. Is the absence of psychological/behavioral issues a result because you are more familiar with the other aspects or is it because they are simply not included in neurobiological model – neurobiological view just doesn't include psychology? Knowing the answer helps me understand the neurobiological perspective more. The other question I have is that do you think that all eating is the result of the reward system as the figure implies? It just came to mind and I thought I’d ask. I have to think a bit about that myself too. Hope I didn’t sound too much like criticizing because I mostly wanted to thank for your view in this series! Job well done and hope you stay active in the future too! That's a great example of a typical day in a modern American's life. As your sliding scales of pro/con in eating choices display - I think it's imperative that you attempt to make NO food easily accessible. There has to be some kind of effort made in order to consume (even if it's walking 20 feet to the kitchen to get a handful of macadamia nuts). Hopefully, this combined with your cognitive restraint will be enough to stop you from getting in your car, driving to the convenience store, and getting some Chips Ahoy. "Why accept the effort and risk of chasing a deer or growing rice when you can simply push a pedal in your car, drive up to a fast food joint and order a hamburger, fries and milkshake?" I don't understand why almost every health blogger assumes the readers are living on fast food. I suspect those concerned about their health are more apt to be living like the couple you describe, not totally prepared-food-free, but not eating that alone. Also, I think it would help comprehension if there were some time frame given for "ancestors." My grandmother is an ancestor. She didn't eat fast food, she baked and ate sweet desserts, she didn't eat low-fat, and she had a varied diet, but she wasn't obese, nor were her friends. I think we need to figure out why our generations are fat and those of our grandparents weren't fat (most of them), rather than contrasting us with some hunter-gatherers of 10,000 years ago, even though we still carry some of their genes. Hi Stephan, Do the aversive properties of a food have to be physical and can they be changed? I found that when I first discovered paleo and decided that wheat was 'poison' it was much easier to avoid, as I had created a psychological aversion to it which helped to counter its inherent rewarding properties. This may border on orthorexia, but if you can convince yourself that certain foods are harmful, can you effectively move the balance on your scale to the right? Could you use some kind of negative stimuli to re-train the reward systems in the brain so that previously desirable foods are no longer thought of as such? Good question. Sugar (and other calorie sources like starch and fat) is rewarding even in the absence of the sweet flavor. Mice lacking sweet receptors are able to detect the calories indirectly, and they do learn to prefer sweetened solutions over water even though there's no sweet flavor there. However, sugar is less rewarding and certainly less palatable if it doesn't taste sweet. Thanks for your comment. The psychological side of eating is not my specialty, but I do think it's important. That is why I discussed a number of psychological aspects of eating in this series, including social influences, cognitive restraint, and stress/emotions. But I kept it simple and brief because again it's not my specialty. Please feel free to expand on your discussion of cognitive restraint (or other factors you think should be included) if you'd like. I'd be interested to hear more. Regarding your question "do you think that all eating is the result of the reward system"? Yes, it all involves the 'reward' system, 'action selection system' or whatever you want to call that group of nuclei in the mesolimbic system that underlies motivation. The mesolimbic reward system is what creates motivation to engage in food seeking behavior (as well as any other motivated behavior). If it's inactivated, animals don't eat. That being said, my 'wiring diagram' is extremely simplified. In reality, most of these regions are extensively interconnected in multiple ways, and typically influence one another reciprocally. It's easiest to illustrate a difference when the difference is large. However, the same trends would have existed to a lesser extent in people who are our less distant ancestors. I don't know much about it but it seems possible to me. I've experienced the same thing. Foods that I feel strongly are unhealthy are often literally less enjoyable than they would otherwise be. I think our cognitive impressions of a food can probably influence our less conscious perception of it. I think this can explain pretty well why humans in western cultures overeat, but what it doesn't answer is why there remains so many people in these cultures who don't overeat. What are the major differences between the people who aren't tempted to overeat and those who are? Is it mostly genetics, mostly learned behaviors, mostly cognitive restraint? It seems to me that most people who are skinny are so without any effort. What about genetics? I've read some articles suggesting that obesity can be developed during gestation. Dr. Jeffrey Friedman has said its nearly as hereditary as height. How much of a role can we expect from genetics? Genetics plays a role in just about everything: how robustly the homeostatic system is able to oppose fat gain/loss in the face of over/under-eating, how much food it takes to feel satiated, how much influence satiety has on future food intake, how much influence palatability has on food intake, macronutrient preferences, cognitive restraint, and virtually anything else you care to measure. Dr. John de Castro has explored the influence of genetics on many of these factors using twin studies. 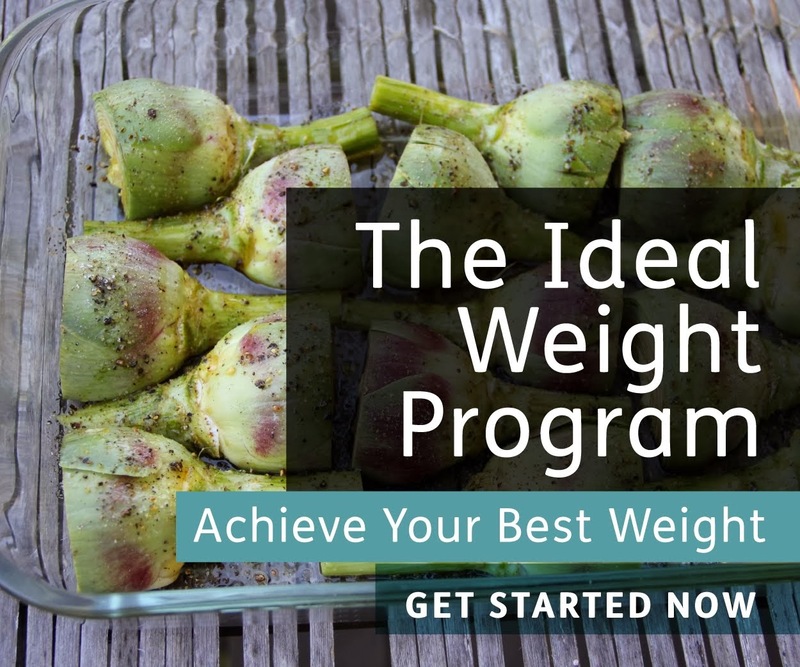 We know that there are some people who can burn off excess calories quite efficiently without even trying, while others accumulate almost all excess calories they consume. That almost certainly has a major genetic component. I'm really curious why we have all these mechanisms to try and keep us thin. I'm not entirely sure what the evolutionary advantage for a slim build is, you'll be quicker and might avoid predation better (especially if you're a mouse) but you'll also be a bit weaker in a fight. Being thinner might make some kind of hunting and gathering easier (ie persistence), but if you're having trouble gathering food than being too fat to hunt isn't your problem. It just seems really weird that we have people, or even cultures like Japan, who can easily remain thin when virtually unlimited calories are available. Is there some big ancestral selective advantage to being really thin even when a lot of calories are available? What a superb series Stephan. As a management consultant I love the fact that you've created a model of your understanding of this topic. Clearly, the model isn't perfect (I rarely believe models can truly represent the territory), however for someone who doesn't hold a Ph.D. in neurobiology it's an excellent tool. I also enjoy modelling important aspects of our world and I have recently published my model of the four most important things in life at RethinkingTruth.com (bit.ly/VwKxF3). Do check it out and let me know what you think. Personally, I find the function of habit-forming substances to be things that are rewarding beyond their caloric density/content, but I can acknowledge that may just be a result of my dietary habits. Stephan I've been thinking a lot about the 'cognitive restraint' factor of it, and the only logical conclusion I've been able to draw is that cognitive restraint is nothing more than a second pass at the pros and cons decision scale. Think about it. Most of the time when we make good decisions (to obey the law, to go to work, to pay our bills, etc.) its because the balance of cons far outweighs the pros. There is no reason to even make a *conscious* decision, it is automatic. Cognitive restraint only seems to come into the picture when the pros and cons are balanced, so a more intelligent decision needs to be made. Evolutionarily speaking, I'm not sure why its even necessary to have a conscious decision-making process, as our brain seems to dictate everything that goes on in our mind anyways. But maybe conscious decision-making, or willpower is needed because it brings in more resources and energy to make the more complex decisions.